Alarm monitoring involves connecting the fire alarm or security system to an Alarm Receiving Centre (ARC) through a special modem (e.g. 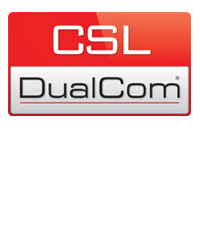 DualCom, Redcare). When the system is triggered, the communications system instantly communicates the alarm to the ARC who contacts the relevant emergency services and dedicated person or key holder. This ensures that minimal time is wasted between the fire or security incident being detected and the emergency services being called – which could result in lives saved! Since 2002 BS 5839 (British Standard for fire detection and fire alarm systems for buildings) recommends that all fire detection systems which have been installed to protect property should be able to automatically transmit a fire signal to an Alarm Receiving Centre. This enables the building to be protected even when unoccupied. For high risk buildings or to comply with insurance requirements, many buildings require police response so that in the event of a break-in, the police are immediately called. Cintrix Systems can provide police response monitoring for both intruder alarm and CCTV systems. Cintrix Systems can provide 24-hour monitoring for all your fire and security needs.